We met the owner of this charming Upper Cape cottage when she bought one of our custom kitchen islands a few years back. We realized we shared a similar design aesthetic and began work on a fresh new design for the outdated kitchen in her treasured vacation home. Given that the kitchen was housed in a single story structure with a steep gabled roof, we immediately decided to remove the existing low ceiling to create a light and open cathedral space. Reclaimed pine beams that were installed as structural ties, along with the painted shiplap boards that clad the gable ceiling, helped to define the modern farmhouse feel that the client was hoping for. We added a larger window with an arched transom above the fireclay farm sink to let the summer light pour in. The homeowner’s collection of vintage accessories and light fixtures complement the classic white shaker style cabinets and soapstone countertops. This 3′ round coffee table was custom made using a vintage industrial steel machine base from the Kimball Electric Company in Chicago, Ill. 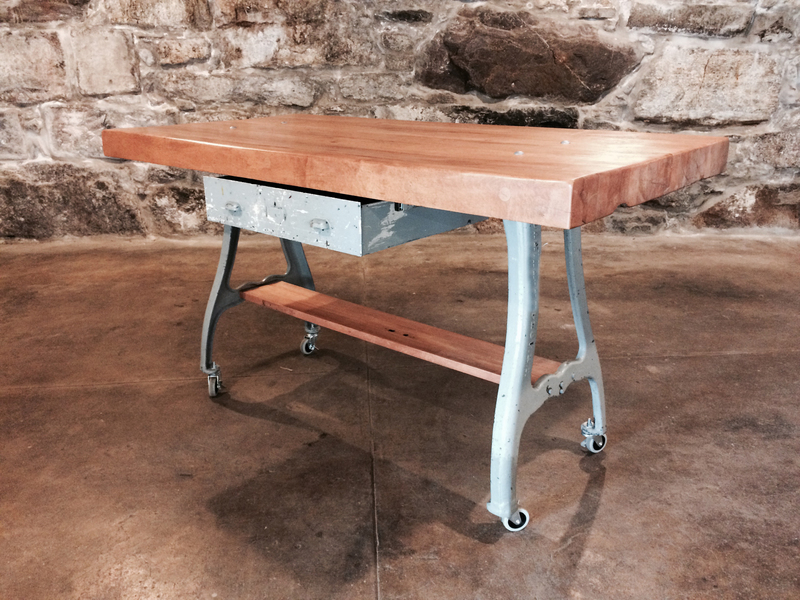 It features a handmade reclaimed wood base, tempered glass top and vintage locking casters. This piece is being sold at the Hundred Acre booth at Crompton Collective. 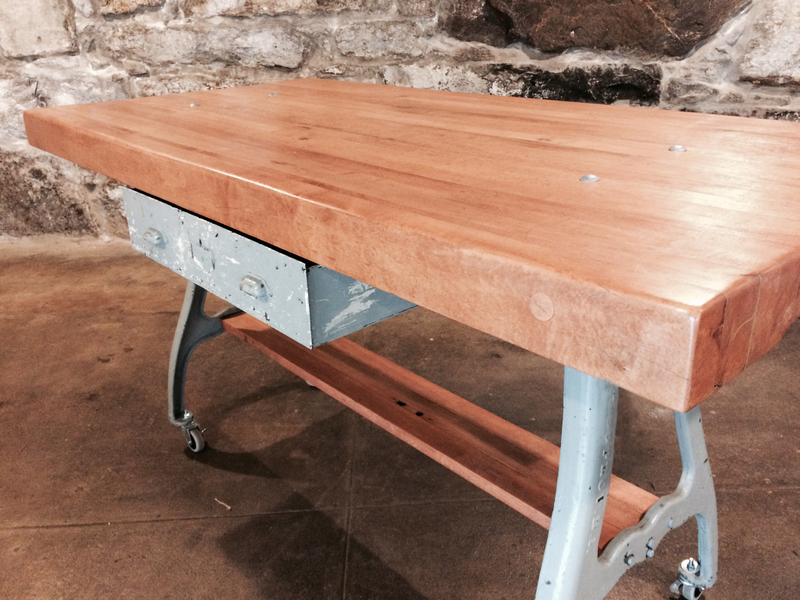 This 2’x6′ kitchen island was custom made using a thick reclaimed pine top, and vintage industrial steel machine legs. 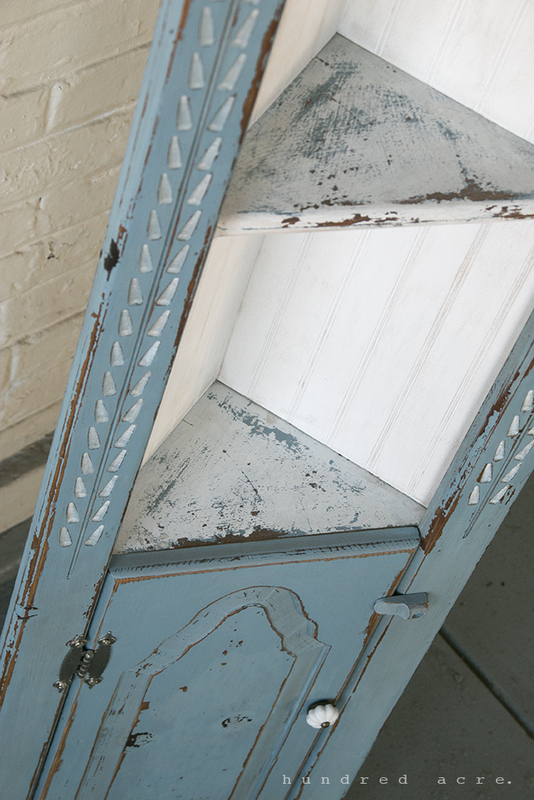 It features a large working metal drawer salvaged from the historic Worcester Vocational High School. The island is 36″ high (countertop height) and the top is finished with tung oil for a food-safe prep surface. We fitted out this small antique Wards metal toolbox with vintage fabric wrapped padded interior compartments, perfect for a jewelry collection. The dimensions of the box are 7″ high, 6″ wide and 8 1/2 ” deep. Please contact us for custom jewelry box orders. This 3’x6′ kitchen island was custom made using a salvaged 3-1/2″ thick solid maple butcher block top, and vintage industrial steel machine legs. 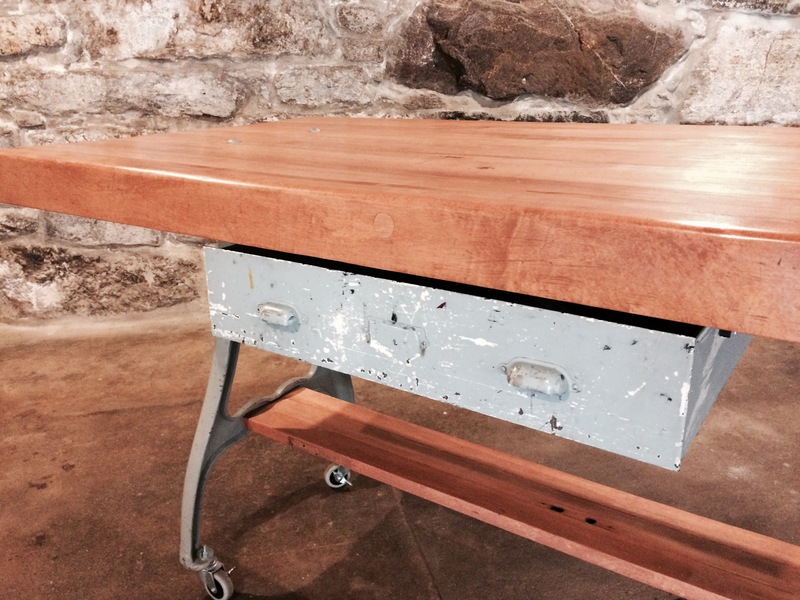 It features a large working metal drawer salvaged from the historic Worcester Vocational High School. The island is 36″ high (countertop height) and the top is finished with tung oil for a food-safe prep surface. 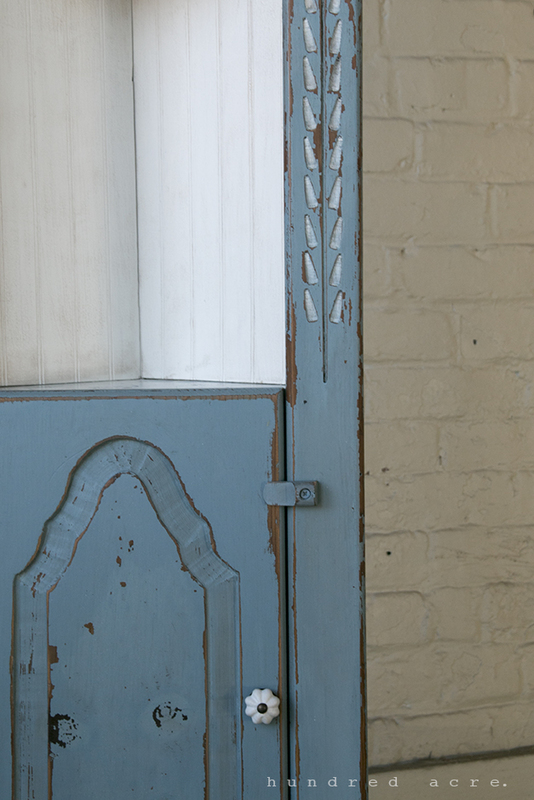 We hand painted and distressed this vintage corner cabinet with Miss Mustard Seed Milk Paint. We wanted to match our client’s pale blue damask wallpaper, so we mixed a custom color using French Enamel, Dried Lavender and Grain Sack. We added bead board paneling to the back of the cabinet to add even more country detailing. To finish and seal the paint, we used Miss Mustard Seed’s antiquing wax, and this stuff will literally give life to your milk paint projects! 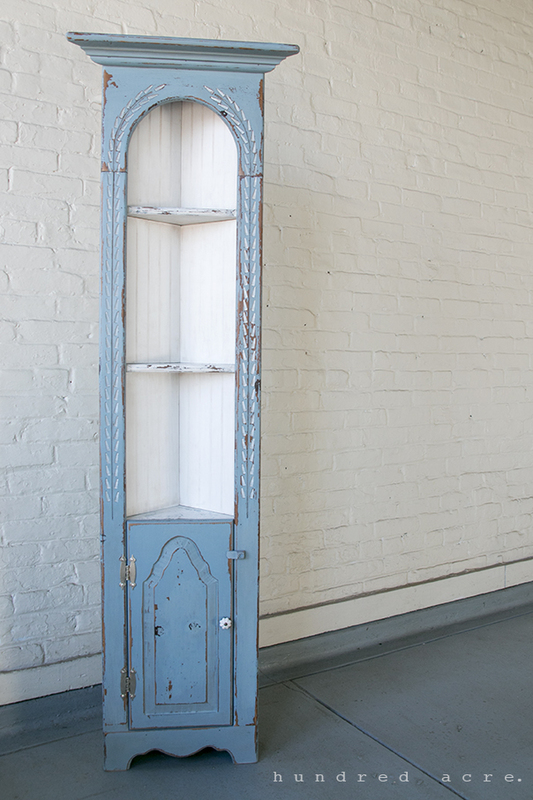 There’s something about doing a milk paint project that is so serene and calming. Hand painting each carved leaf on this cabinet was almost meditative. The ease with which each flake of paint chips off in just the right place is so satisfying, as is the perfect soft sheen you get from polishing on the antiquing wax. 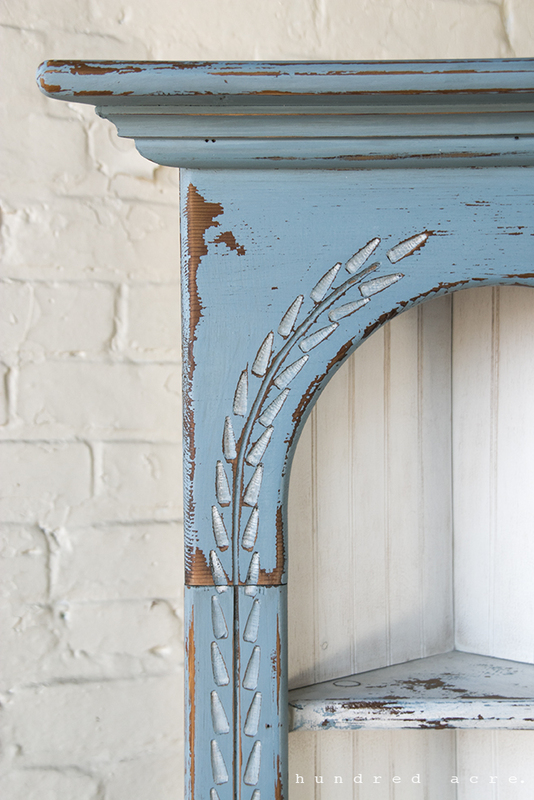 With milk paint, it really just seems like you can’t get it wrong – the paint knows what it wants to do. When the temperature drops, here are some of our favorite cozy items to warm your heart and home this season. 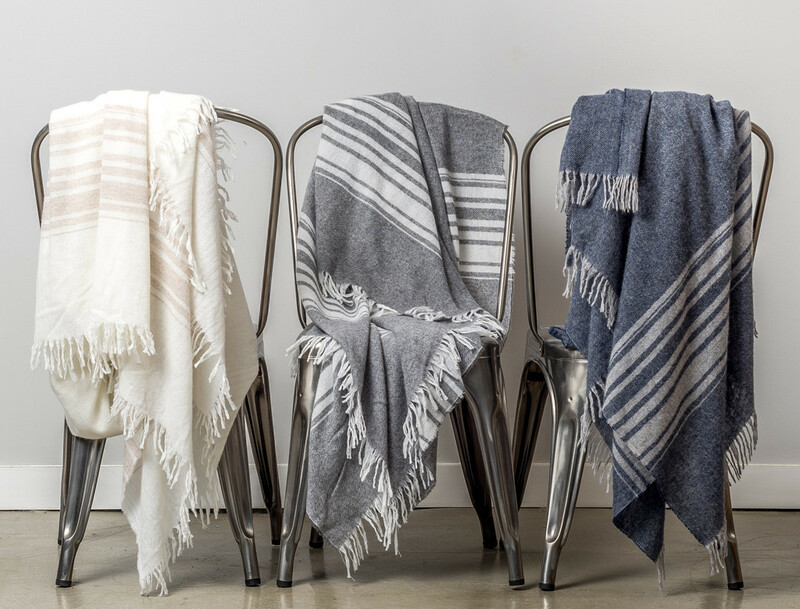 A striped cashmere throw from Parachute Home will warm up your weekend movie marathon. 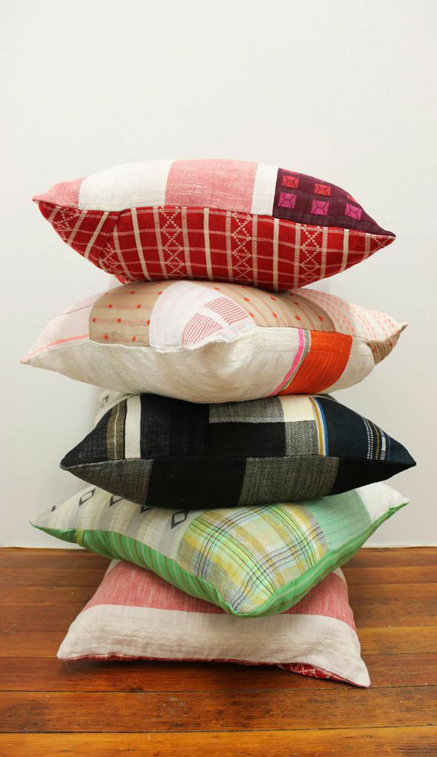 Toss it across the end of your bed for an added layer of warmth on cold winter nights. Soft cotton pillows made with custom created yarn-dyed woven fabrics from Ace & Jig will add a pop of color to your comfiest armchair. 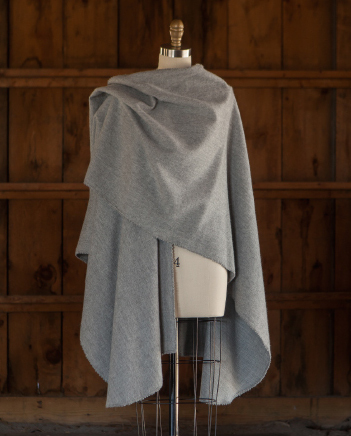 This soft and cozy Alpaca cape from Alicia Adams Alpaca will keep you toasty through the winter months, whether you’re lounging inside or bundling up for a day out. 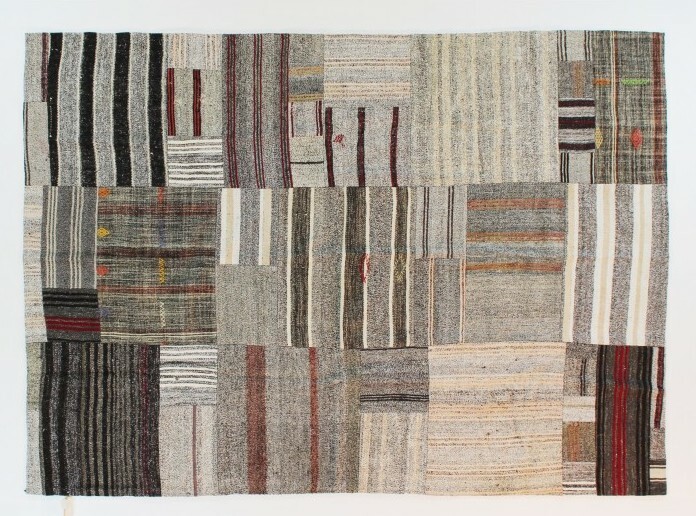 A patchwork of warm vintage textiles make up this Nomadic Trading rag rug. Natural layers and textures add winter warmth to the coziest rooms in your house. 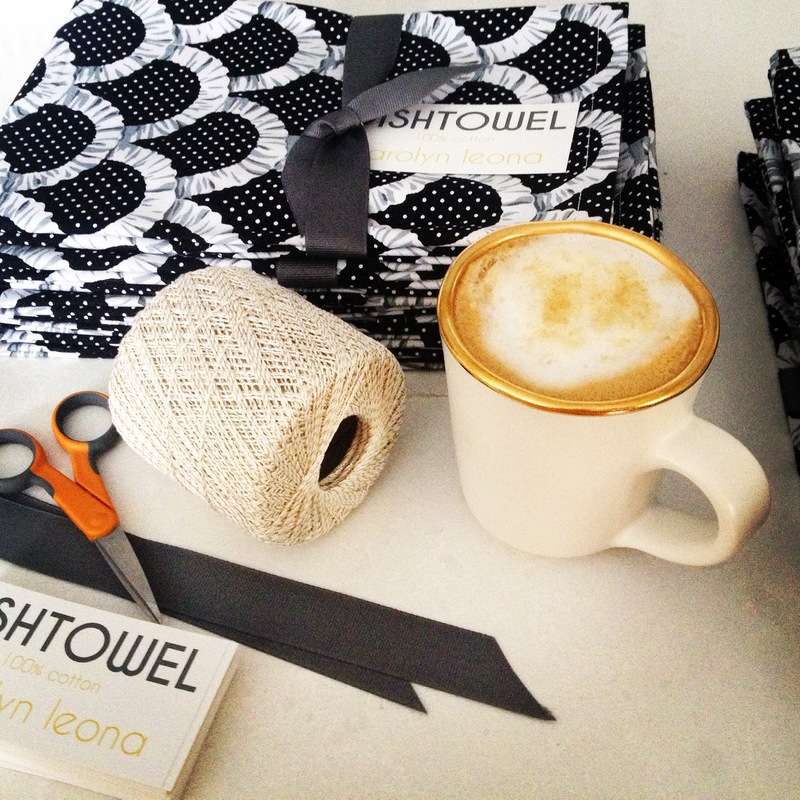 Warm up this winter with a mug of your favorite latte and handcrafted napkins and whimsical textiles from Carolyn Leona. The best way to do bedding? A velvety soft and simple flat sheet draped in a downy, light-as-air duvet. Who needs that silly flat sheet to get tangled up in? 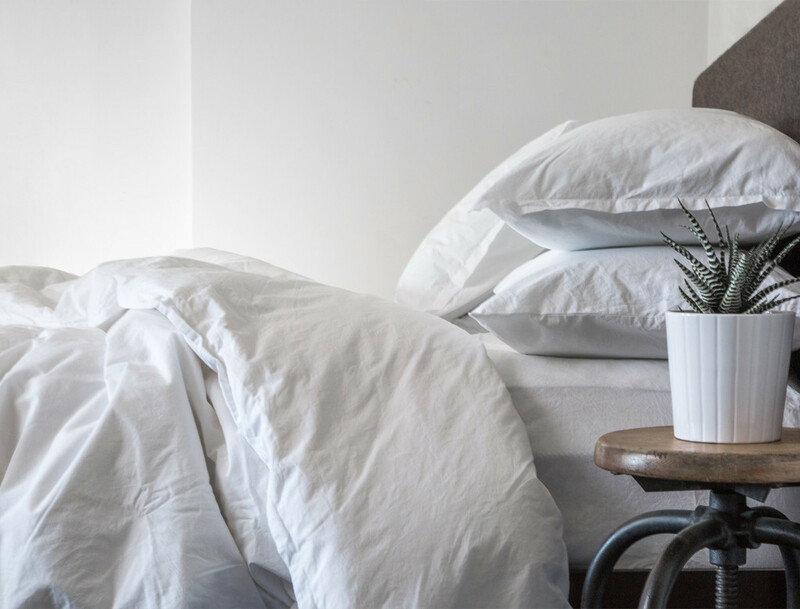 Parachute Home does cozy right with their Venice bedding set. 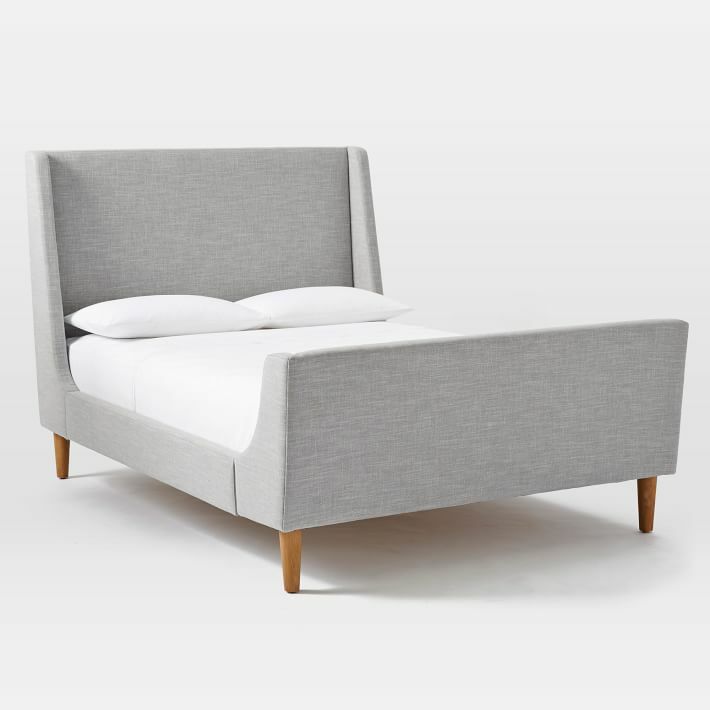 On our ultimate wish list for the coziest winter nap…this upholstered sleigh bed from West Elm. Keep your head toasty with a chunky knit hat. 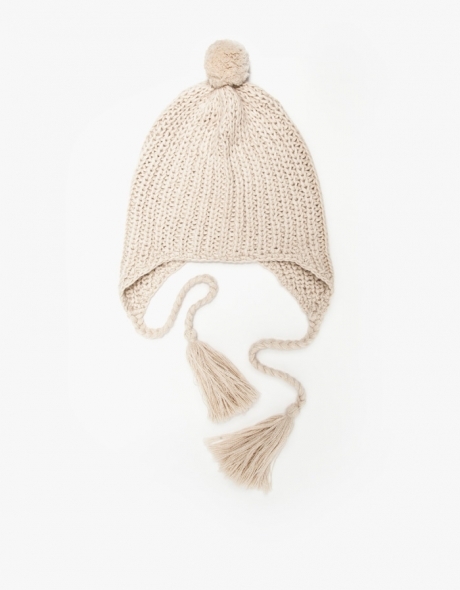 Need Supply has got you covered with this handmade alpaca knit.